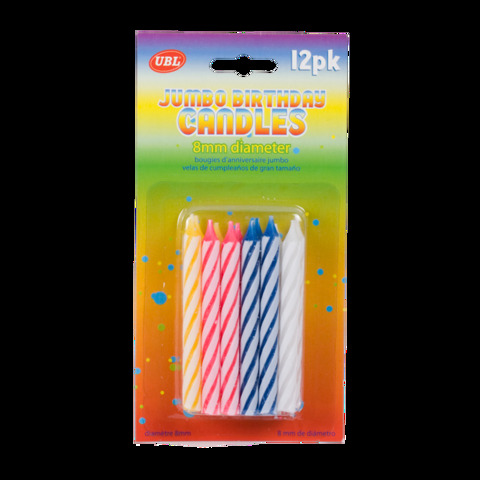 Party Candles Jumbo 12Pk. 8.5cm x 8mm. Blue | Pink | White | Yellow - All Candles have White Stripes. Wax. 47G Packaging: Blister Card.